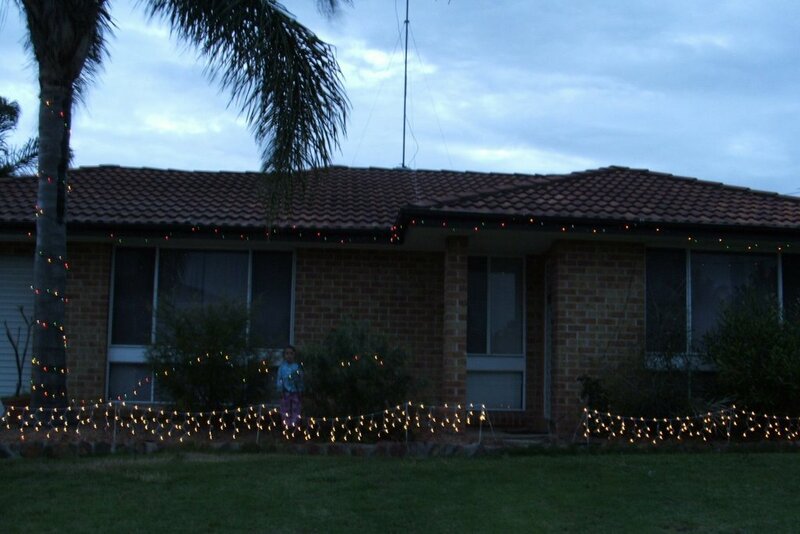 I love Christmas lights!!! I would love to make my house look like the Griswolds! Not only that - I love walking around the neighborhood to look at other peoples lights. 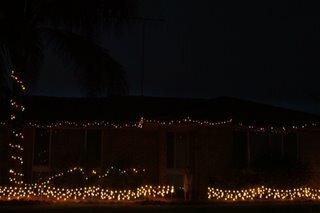 So this is our house at dusk. And this is our house at night. Its not the Griswolds yet but it certainly is a start! LOL @ The Griswolds.. gotta love them hey? Aaaahhhh Beth, thankyou for reminding me that we bought a stack of Christmas lights after last Christmas, and that Chad needs to put them up! Fabbo Beth! I bet your kids were excited to put them up!